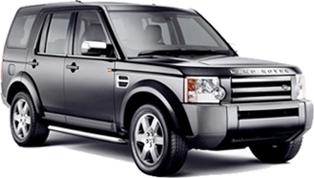 Why Use A Land Rover Specialist? 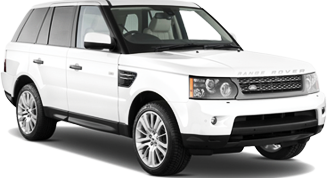 Why Use A Range Rover Specialist? The Land Rover and Range Rover Specialist you can trust! For over twenty five years, our customers have enjoyed friendly, honest, quality service, at a reasonable price, delivered on time and in a professional manner. With five qualified technicians and over 100 years of combined technical experience, there is nothing we cannot fix! We take the time to listen to all your concerns and work out the best and most cost-effective solution for you. We stay in close communication with you while your vehicle is with us and are not satisfied until we know that you are more than happy with the work done. For safety reasons, we believe it is important that all motorists are aware of the condition of their car. A free Safety Check confirms that all is well or warns of any present or future repairs that may be needed. So that you are not inconvenienced when bringing your car to us, we offer free late model courtesy cars for the first 24 hours. Business hours are Mon to Fri: 7:30am to 5:30pm. We use the latest diagnostic equipment, saving us time and you money. There are no hidden costs. All our work is fully guaranteed with a minimum 12 month warranty on parts and labour. Our Guarantee To You! Our team delivers expert and thoroughly serviced vehicles, delivered on time and above customer's expectations. In the unlikely event this doesn't happen, we will not only fix the problem quickly and for free, we will insist on compensating you for any inconvenience with $200 off your next service plus a complimentary dinner for two at a top local restaurant. Ayers Automotive for rock solid service!! If you have recently bought a new vehicle, we can service your vehicle while under the manufacturer's warranty. Our qualified technicians will carry out scheduled services using only genuine or guaranteed new parts. Thankfully I found Ayers Automotive about 5 years ago! Being a girl in a male-dominated industry, I was always being ripped off, services not done or not done well, parts being replaced rather than car being fixed, etc. Since bringing my car to Ayers, my car runs better than it ever has, I am informed on what is needed and how much it will cost beforehand, I receive the best service from a competent and ethical team. I would recommend everyone to Ayers Automotive.